However, no matter where you stand, if you have the title or project manager or not, if you have project management responsibility, then your a project manager. Here is an example of what goes into a scope of work, this is a bit more detailed then the simple version on this site. As with all contracts, please review all legalese with your lawyer. Differences in working in a team based environment with a project manager. Example of an integrated producer workflow. Treat your peers as grown-ups. There is no such thing as having minions or subservient task people in life. Your team and staff have to be given real responsibility. Help them when they need help, share your knowledge. Have empathy and be human. No one has a monopoly on great ideas. Not your senior people or your creatives. Ideas can come any way, from any one. Encourage it, you need all the ideas you can get. All teams go through stages of development that are often independent of actual work phases. Teams develop in stages, over time, before they become productive. One of the most commonly used framework for understand the team’s stages of development was developed by Bruce W. Tuckman. (reference) His descriptions of Forming, Storming, Norming, Performing and Adjourning provide a useful framework to understand how teams develop and mature in their working relationships. As a team transitions from one stage to the next, the needs of the team and its team members vary. Understanding why things are happening and exhibiting certain behaviors, can be an important part in helping your team successfully transition to the next stage of development. The first four stages are a helpful way for recognizing a team’s behavioral patterns; they are most useful as a basis for establishing ways of best working with the team. The last stage, called adjourning, is when the team dissolves. The goal as a project manager is to identify what new behaviors are going to need to be established in order to improve team collaboration and efficiency, moving past each stage to a high performing team. During the Forming stage of team development, team members are usually excited to be part of the team and eager about the work ahead. However, right now they are more of a group than a team. Some members will have high positive expectations, while others may be more reserved, wondering how they will fit in to the team and if their performance will up to par. During the Forming stage there will be lots of questions from team members, reflecting both their excitement about the new team and the uncertainty or anxiety they might be feeling about their place on the team. Individuals will have their own agendas during this stage because a team agenda does not exist. During this stage, team members will also begin to form opinions about who they can trust, and what level of involvement they will commit to the project. The principal work for the team leader during this stage is to create a sense that there is a team, not just a bunch of individual people. Allow the team time to help set clear structure, goals, direction and roles so that members can begin to build trust. A good kick-off process can help ground the team by establishing rules for working together, team expectations as well as agreeing on the team’s project mission and goals. During the Forming stage, much of the team’s energy will be focused on defining the team so the actual level of real task for that is getting done will be pretty low. During this stage, the team leader (or leaders) will be doing more directing, driving the process to get the team on the same page, by presenting the objectives and scope of the project. However, they should focus on a proper team startup procedure, getting the team to know each other, what’s expected of them and organize some time for the team to socialize. Now is the time to encourage open discussions and alate and feelings of concern they may have. As the team begins to move toward, some of the team is going to realize that the task is different or more difficult than they had imagined. Reality of the situation can produce a range of feelings, from being annoyed to their attitude about the team in general. During the Storming stage, members are trying to see how they fit in with the team and how others are responding to differences and the team is handling conflict. Behaviors during this stage may be less collegiate than during the Forming stage, with frustration or disagreements about goals, expectations, roles, constraints and responsibilities being openly expressed. This frustration might be directed towards other members of the team, the team leadership or the team’s sponsor. If they think your a bad leader, they are going to let you know it. Interpersonal issues are going to be high, as some members chose to actively participate, while others are going to sit back and watch. As a leader during the Storming stage of development you may need to call for the team to refocus on its goals, perhaps breaking larger goals down into smaller, achievable steps with a subset of subleaders. The team may need to develop both new ways of working. A redefinition of the team’s goals, roles and tasks can help team members past the frustration or confusion they experience during this stage. Team leaders need to strive to build a positive work environment, practicing their active-listening skills. managing conflict and driving consensus. The trust level at this stage usually comes in the form of building alliances, while your goal is to have the entire group working together. If new ideas are not emerging at this stage, and team members are not challenging each other’s ideas, then creativity is at standstill. Help the team deal with differences, give feedback early and often, look to help people build relationships. During this stage, team members have begun to resolve the discrepancy they felt between their individual expectations and the reality of the team’s experience. As this is the stage where work is usually being completed, hopefully the team, individually and collectively have come together and establish a group identity that allows them to work together. People should experience an increased sense of comfort in expressing their “real” ideas and feelings. Cooperation and collaboration have replaced the mistrust that characterized the Storming Stage. Team members should start to feel part of a team, adhering to agreed-upon rules and keeping communication clear. Behaviors during this stage may include members making a conscious effort to resolve problems and work together as a group. There should be more frequent and more meaningful communication among team members A willingness to share ideas, ask teammates for help and capture lessons learned. Team members have discovered and accepted each other’s strengths and weaknesses and hopefully morale is high. During this stage, the team shift their energy to the team’s goals and show an increase in productivity, in both individual and collective work. As a project leader, during this stage you are there to help maintain group collaboration and help ensure that the team maintains its motivation. Your job is to help the team with any blockages that prevent work from getting done. Your collaborating with the team as well at this point. As a leader, you need to watch out for groupthink. You may have to help them out by providing additional ways decision making, or group activities to encourage creative thinking. Now is the time to get the team into a pattern of working together. The Performing stage of team development is where the team is working at its highest level. Team members tend to feel positive, and look forward to participating. Members feel attached to the team as something “greater than the sum of its parts” they know what to do and how to do it. Morale is high and the team is usually at it it’s highest creative stage. Team members are able to prevent or solve problems in the team’s process or as the team’s progress. People are actively looking to assist others. Roles on the team may have become more fluid, with members taking on new roles and responsibilities as needed. In this stage, the team is making significant progress towards its goals. Commitment to the team’s mission is high and the competence of team members is also high. Team members should continue to deepen their knowledge and skills, including working to continuously improving team development. A high performing team can only sustain this level of performance for a certain period of time. As a team leader you need to have a light touch to help facilitate the work. Act as a coach when necessary, encourage new lines of thinking and creativity. Actively reward the team for small achievements, but in general stay out of the way and just be a part of the team. As a leader you can also support the group by encouraging more advanced problem solving techniques. You may look for ways that you can encourage personal development, and assist in managing change. Stage 5: Adjourning, The end of a team. Creative projects are often short, lasting days, weeks or only a few months. I encourage agencies to continue to build and maintain teams the best they can so that when a project comes to the end, you can build on team behavioral successes. If you continue to encourage the team and feed it new work, you can continue a high level of performance that is ongoing. However, even the best teams break-up. Certainly celebrate the end of the project. The end of a great team can cause all sorts of feelings for individuals. Working in teams at a high level can have a family like atmosphere, and when the family breaks up, people need encouragement and a bit of help to find their way in a new team family. Not every team that you will work with will actual get through to the Norming and Performing stage. There are many reasons why this can happen, some individuals lose their motivation no matter what strategies you try. Team conflict may become irreparable if tempers fail. Interpersonal relationships are complicated. This is why as a project manager you need to manage the team in ways that help them through each stage so that the work can get done in the most efficient way possible. In an organization, not all rules are written down. When you first start a job, everything is all rosy. They invite you in, give you the spiel on how things work, maybe, just maybe, you get some on-boarding or a bit of training. Then you are off and left mostly on your own to get started. If you are really lucky, you may get a peer or a co-worker to help you along in those first few weeks until you get settled. There are some things that you kind of have to learn on your own. Often they run counter to what you where told, or you may learn about them unexpectedly. These are the invisible rules of engagement. Rules that aren’t written down and rarely discussed. However, they can be a major force for how an organization functions. These are the practices in the organization or the behaviors of people in situations that kind of keeping you guessing at first. You have to figure them out on your own. Others, unwritten rules can show up quickly. For example, in many agencies they say they have set hours from 10 to 6 for example, but if you leave the door before 7, you quickly find out it’s frowned upon. Sometimes these rules emerge because of office politics. Perhaps the unspoken angst between competing agency founders who have some strange power playing going on. In this case, the unwritten rules emerged due to the nature of the staff trying to please both founders, or when working with them individually. The invisible Rules of Engagement are a product of you organization’s cultural environment, it’s ability to trust and handle risk. (Rosenfield 2005) They can effect people’s communication style, decision making and the quality of shared information. As an agency leader, there is a lot that you can do to encourage innovation, creativity and team work by working on your style of communicating with the team, allowing your teams and leadership teams autonomy and support. There are less unwritten rules when an agency maintains a high level of transparency. As a project leader, you can do the same. Laying all the cards on the table. Or, as a team member you can work on controlling your behavior so you don’t pick up the bad habits of others. As a team, you can all work as one unit, supporting each other, instead of playing power games. On an individual level, it can be very frustrating when the agency displays behavior that is incongruent with its perceived values. Unwritten rules of engagement can also change over time, and through lack of communication, it can be inevitable that you may find yourself being side-swipped. These are the side-effect results of when written rules, how we are suppose to act, and the unwritten rules, the ways people actually do act. Sometimes, you may ask yourself, “What the hell just happened here?” To be honest, there is a good chance you may never know the real underlying nature, dynamics or reasoning surrounding an invisible rules. It can seem hurtful, because it can be perceived as a breach of etiquette or a disrespectful way of interacting. In reality, what anyone individual is experiencing is only part of the underlying situation. Certainly there is no excuse for bad behavior. Is is important to look at unwritten rules from a holistic viewpoint. Like many unwritten rules or organizational behavior, what you as an individual is seeing is only the tip of a much larger iceberg. How you perceive the situation is going to be very different than how your team mate, peer, manager, or firm owner is going to view the situation. Regular behaviors, when people interact, such as language, customs, traditions and rituals. Formal organizational principals that guide employee action. Shared meaning, the understandings that are created as group members interact with each other. Understanding how a firm works and how they get things done can be complicated and an intermingled web of connections. The bigger the organization, the more complex and less you will see of the big patterns of how the organization operates. This is why smaller teams tend to be more nimble. However, even in small teams, an individuals motivation behind their behaviors can be complex, how they feel about the team, you, the company, the people they work the closest with, their home life, their social life, their career path, sense of ownership, how they feel they are rewarded and if they are rewarded in the right way can all effect the development or direction of their behaviors. Unwritten rules are the intended or unintended consequences of a gap in social understanding. In reacting to or redirecting unwritten rule of engagement, we need to look at them from a social communication perspective. Unwritten rules are usually situational and people based. They are not absolute rules for every situation. Not everyone in the organization will feel the same way or have the same level of intensity around every unwritten rule. In the big scheme of things, not everyone will give an unwritten rule the same level of importance. For example, some people won’t care about working till 7 p.m., when the written rule is 6, there will be a range of emotions about the situation. When an unwritten rule effects you on a personal level, it doesn’t have to ruin your day. Gauge your relationships, unwritten rules are not always set in stone, and often come about in the absence of real rule setting. Speak up, be honest about the engagement in the proper setting. Know when to approach the situation, people will connect with you differently in private then they do in public when approaching these types of change. People follow unwritten rules of engagement because it often makes them feel like they are “fitting in,” rather than making waves. At the end of the day, you are still responsible for your own set of behaviors. Unwritten rules can be just as important to the change process as documented ways of working. One of the reasons process change can fail is because it conflicts with a strong institutionalized unwritten rule. As an individual you may not have the political capital to make these types of changes on your own. However, we can focus on strategies that can make these unwritten rules no longer hold the meaning that they have. Taking the point of view of others to analyze why the unwritten rule exists, to explore alternative ways of working. Draw other team members, peers to get a multi-disciplinary perspective. Explore new ways of working that involve team members on both sides of the situation. Look to make a connection with the person who is advocating for the unwritten rule. Look for places to agree, to connect or support them. If the rule came about because of trust issues, look for alternate ways of building trust. If the rule came about because of a communication issue, look for alternate ways of communicating. Work with others to learn why the rule came about, gain new insights to build alternative ways of working. Why should we care about uncovering these rules? Unwritten rules can make or break a cohesive working environment. If we don’t uncover them, talk about them and take positive action they can be the death of any project management implementation. 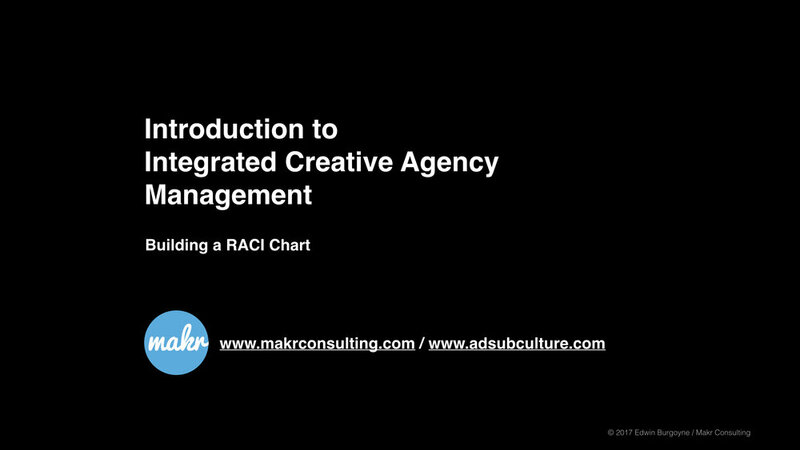 Agency’s adapted integrated processes at a point where separating interactive, broadcast and traditional no-longer made sense. It was a way for agency’s to begin to coordinate marketing efforts across these platforms and to plan out how you share production resources between all of these efforts. In reality, the idea of integrated marketing is nothing new (it’s about communicating across platforms), what was new was agency adoption of Integrated Process Methodologies as a theory for managing projects. When you think about it, adopting integrated process methodologies made sense, since creative organizations already worked in similar ways. In today’s creative firm, you are going to work with a range of team members. 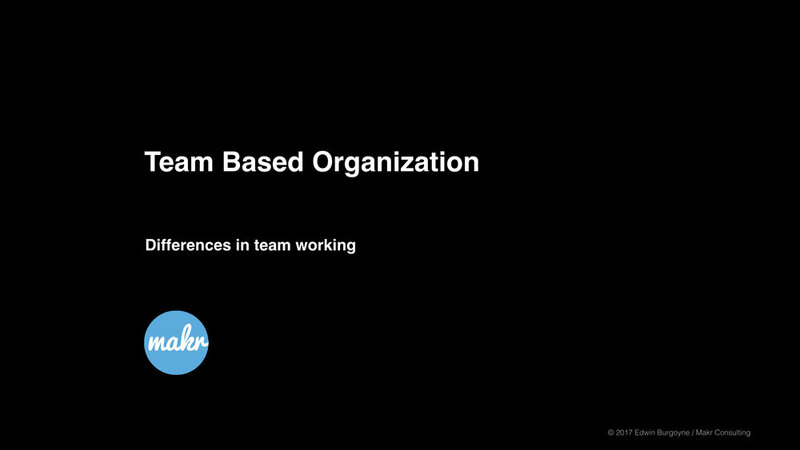 The size and make up of your team is going to vary from project-to-project, agency to agency. What one person is called versus what they actual do at an agency can also be very different, just as the definition of a project manager varies widely from one agency to the next. This is pretty natural and normal. When an agency is small, it has to be flexible. People wear a lot of hats and as the agency grows it morphs and expands based on the need for a specific specialization. Before we get into the mechanics of what a project manager does (like responsibilities and stuff) we should get something clear. This job can be hard, mind bending and stressful. Even if you are a great “technical player” as my son’s soccer coach puts it, if your interpersonal skills (team skills) aren’t there, you are not going to last long in the position. Sometimes it can be difficult to work with others. Get to know your team, your client, and your extended co-workers. Get to know as many people in the agency that you can. If you are working in a creative environment (or any environment for that matter) you are probably working with some really interesting people. Get to know them, understand how best to work with them, and your job from a technical standpoint will be a lot easier. The same goes for you as well, let people know who you are, be a real part of the team. 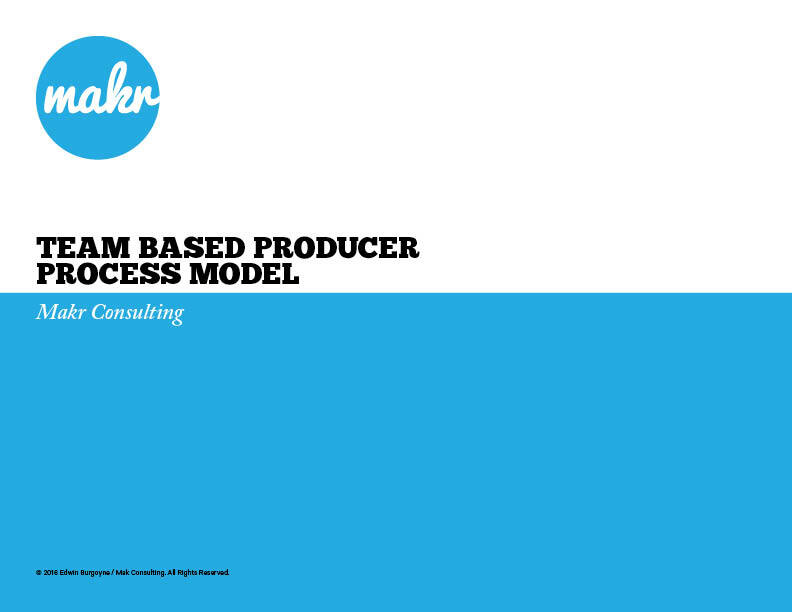 Let’s talk about what it really means to be a creative project manager. Look through any job board and the job description for creative project managers, producers, program managers, product managers and the like may seem very different. You may work in small or large teams, manage the client, or just production or projects end-to-end. To be a project manager in the big sense of the word- — and not just a traffic manager, your duties will most likely range a lot more than just the creation and management of scopes, budgets, time-lines, resources (people and objects) and project goals. In creative land, just like other industries, a project manager can manage one project, a group of projects, projects from one client or several. They can be big, small or group together for a campaign or launch.